The Museum of International Propaganda recently opened in San Rafael, California to showcase the personal collection of Tom and Lilka Areton both of whom have had personal experience living in Socialist states. Tom knows the power and impact personally from having grown up in socialist Czechoslovakia and Lilka who as a student and for many years afterward, lived in a traveled in The Soviet Union has seen the effects of propaganda first hand. 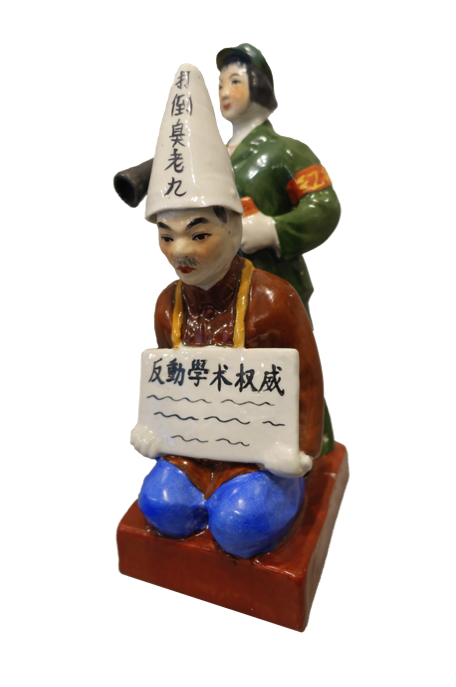 The couple have been collecting propaganda for more than 35 years and as world travelers, amassed an extensive trove of objects from across the globe highlighting the many ways that such information is spread among populations. The free museum is divided into seven sections that explore the use of information and the techniques employed to convey propaganda to the masses. 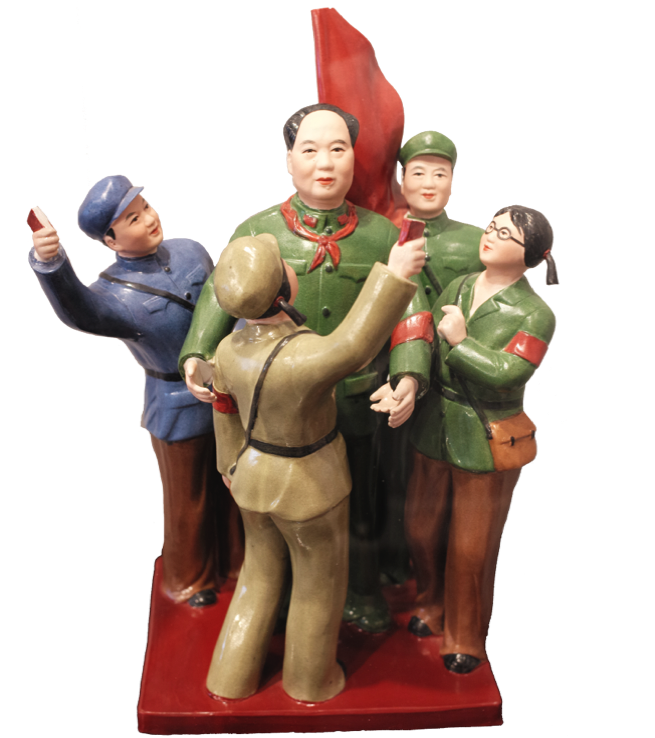 The collection's thoughtful selection of objects utilizes both two and three-dimensional pieces along with everyday items, that have been used to promote the objectives of various governments, dictators and special interest groups. The stated mission of the museum is to educate the public through exhibitions, lectures, discussions, films and writings on how propaganda has impacted the history, culture and politics of the world. 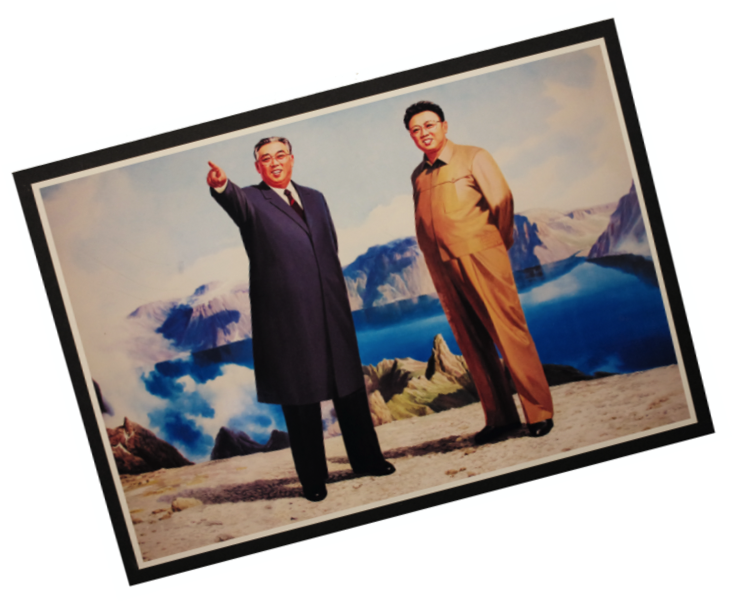 The non-profit museum will continue to acquire examples of 20th century propaganda in order to enlarge its collection and to further explore the subject in greater depth to meet its stated goals. Later this summer, the museum will be opening the Free Speech Café, serving coffee, pastries. In furtherance of its educational goals, the museum will offer a weekly speakers forum as well. This is truly a must see museum. The Museum of International Propaganda is now open! McLenin's The Taste of Communism, T-shirt. Hungary 2015. On the Porch by Gejza Salay, 1952. 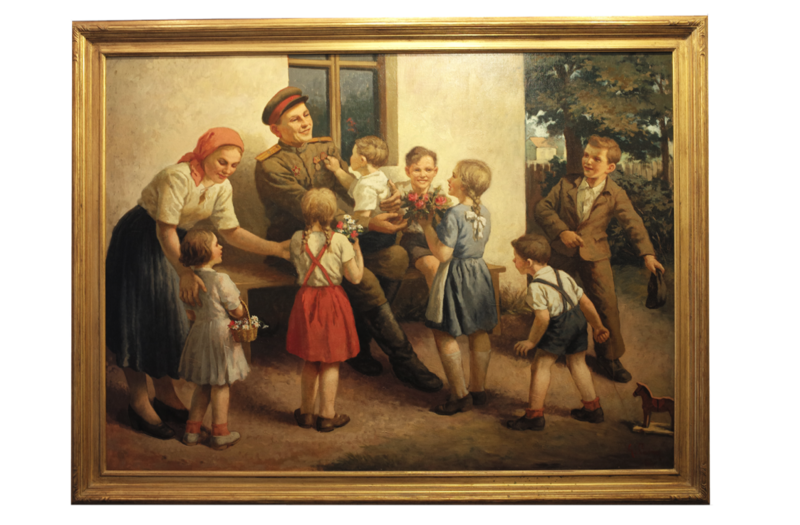 A Social Realist painting depicting a WWII Soviet Red Army Colonel who's troops have liberated the village from German troops being greeted by thankful children. This painting formerly hung in collector Tom Areton's elementary school in Slovakia. The Museum of International Propaganda collectors, Tom and Lilka Areton. Istanbul, June 10, 2016 – A suicide bomber detonated a large explosive device on Tuesday, June 7th that shook the normally placid streets around Istanbul University as two police buses carrying riot police were passing by, killing 11 and injuring more than 36 others. Witnesses reported seeing the car’s driver navigate his way ahead of the two police anti-riot squad busses before suddenly exploding. The large explosion has been estimated to have contained up to 400 kilograms of plastic explosive. 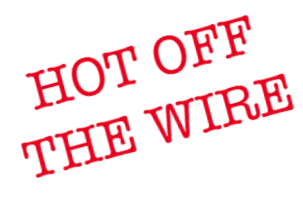 This morning the Kurdistan Freedom Hawks (TAK), an offshoot of the outlawed Kurdistan Workers Party (PKK) militant group, has now taken responsibility for the attack. In its aftermath, the once serene palm tree lined Sehzadebasi Street with its rose garden center divider now resembles a war zone. Two days after the blast on June 8th, merchants are busy clearing debris and making preparations to rebuild the many damaged buildings along the entire block that suffered from the explosion. In a show of national support and solidarity, all of the effected shops and buildings along both sides of the long and busy street are proudly displaying Turkish flags. The large building at the center of the blast zone where the impact was greatest and where most of the deaths occurred, is now draped in white plastic and has a huge Turkish flag draped across its front. Tress in the streets medium divider and along the sidewalk show evidence of severe impact as do the businesses with some now operating without doors or windows. As work continues, many passersby stop to view the damage and extend their wishes and sadness during this month of Ramadan to those affected. An impromptu memorial with a wreath and hand written note at its center, remains the focal point of mourning and reflection at the epicenter of the blast. Here many people stop for a moment to pray and reflect on the disaster before passing on. On Wednesday, another car bomb was detonated in Turkey’s Mardin Province killing five and wounding more than 30 others. The Turkish government is warning of increasing attacks against the state and has temporarily suspended the sale of ammonium nitrate fertilizer, often used and easily obtained as a component in car bombs. Additional measures include randomly placing tracking devises in packages of the fertilizer that are monitored by unmanned drones to determine their locations in an effort to protect the public. Municipal workers, merchants and volunteers begin debris removal in the aftermath of the suicide bombing on Tuesday, June 7th near Istanbul University. Merchants assesing the damage to buildings while planning for rebuilding. A barbershop whose entire front was blown out by the impact of the explosion. Shattered glass and bomb blast damage to a store front. TV news reporter at the the center of the blast zone near the tree where eleven people were killed. The remains of a shoe store being cleared of debris. An impromptu memorial for the suicide bombing victims at the center of the blast. Many passersby such as this man, stopped to reflect and pray for the bombing victims. Sacramento, California, August 1, 2016 - The month of August was officially proclaimed “Muslim Appreciation and Awareness Month” following the Aug. 1 introduction of House Resolution 59 on the floor of the California State Assembly by Assemblyman Bill Quirk (D-Hayward). 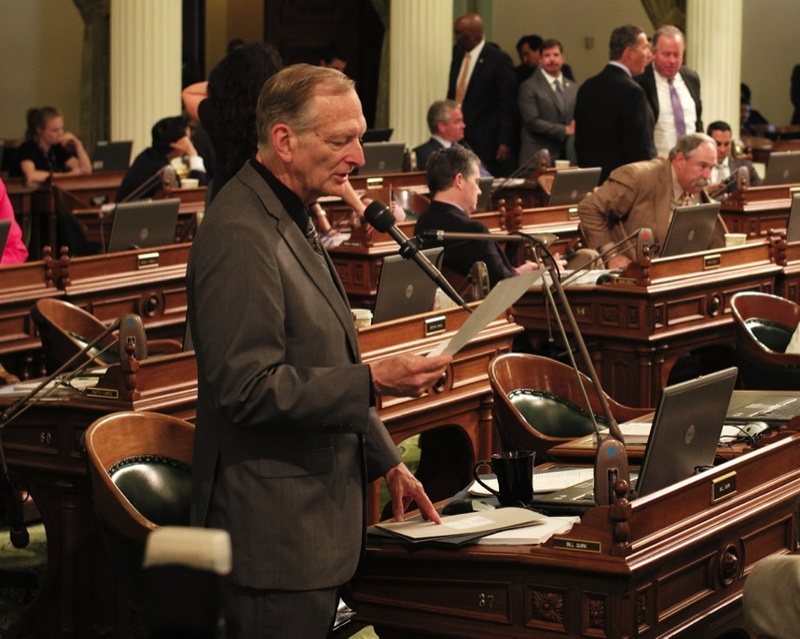 Sixty-two Assembly members co-authored the resolution which passed unanimously. "I am proud to celebrate the first ever Muslim Appreciation and Awareness Month by honoring generations of Muslim Americans for their many social, cultural, and economic contributions to California," Quirk said. "The rhetoric surrounding this election makes the presentation of this resolution more important for me. It is appropriate to acknowledge and promote awareness of the myriad invaluable contributions of Muslim Americans in California and across the country and extend to them the respect and camaraderie every American deserves." Prior to the presentation on the Assembly floor, Muslims from Northern California – and even some from the Los Angeles area – celebrated the historic event at a reception hosted by Quirk on his Capitol office patio.